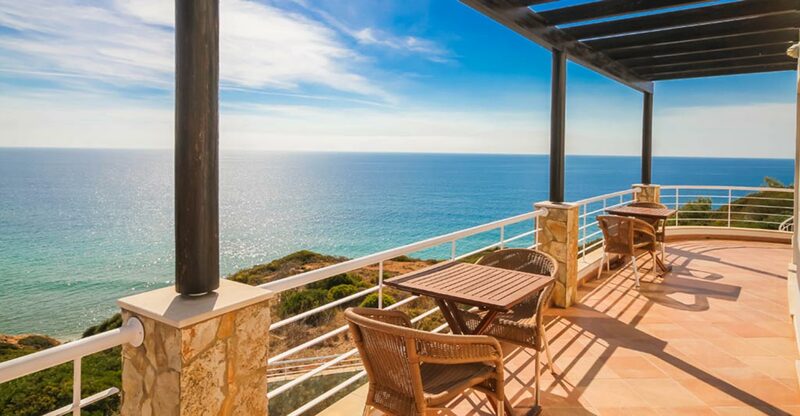 We are proud to offer luxury villas for holiday rental all year round in the pretty fishing village of Salema, in the western Algarve, Portugal. The Simply Salema accommodation portfolio has been hand-picked and is of the highest standard. We’re confident our villa collection boasts arguably the most sought-after and stunning coastal locations possible. Simply Salema is set apart because we know there are very few sea-front villas for holiday rental. Guests can enjoy drifting off to the gentle sound of waves lapping on the shore – and wake to the sun rising over the glistening Atlantic. Our luxury villas offer exactly this, boasting truly spectacular panoramic beach, ocean, coastal and village views. Each fully air conditioned property with a heated swimming pool, is equipped and furnished with everything needed for a special villa holiday in the Algarve. Catered villa holidays are sometimes available on request. Portugal’s ‘secret seaside’ – Salema – is a traditional, authentic, whitewashed fishing village, which we firmly believe is the jewel in the beautiful, historic and unspoilt western Algarve. With a wide sandy beach, crystal-clear waters, friendly locals and excellent restaurants, it’s difficult not to fall in love with Salema. There are even genuine dinosaur footprints on the rocks! Situated within the protected Costa Vincentina Natural Park between Lagos and Sagres, Salema is a blissful spot to relax and reenergise under the warm Algarve sunshine. It’s is the ideal location to enjoy beach villa holiday paradise. The story behind Simply Salema’s origins is an inspiring tale of following a dream and making it come true. As a break from the mountains and our sister company Simply Morzine, the Marshall family holidayed in Salema. We sourced the perfect plot of land (which wasn’t for sale), traced the owner and made it happen. This was one of the few genuine beachfront plots remaining in Europe. We commissioned our flagship Casa das Estevas to be designed and built. The result? The creation of the perfect luxury beachfront holiday villa. We have since added a small selection of nearby additional properties to our portfolio. We have created some very special offers on selected dates for your villa holiday in Salema, western Algarve, Portugal.